Greetings to all my fellow music video fanatics! It’s Andy Gesner and the staff from HIP, here with an irreverent clip from the pride of Sheffield, England. After years of sustained excellence, Richard Hawley has been welcomed to the ranks of Britain’s most beloved guitarists and singer-songwriters. But even before he reached the UK charts on his own, he’d already made himself famous as a sought-after accompanyist, producer, session player and concert sideman. Hawley’s instrumental style is wholly his own – spiky, melodic, humorous, occasionally abrasive, often erudite, and always entertaining – and it’s earned him invitations to collaborate with some of the biggest names in British pop. He’s has worked with musicians as diverse as Jarvis Cocker, Nancy Sinatra, A Girl Named Eddy and Gwen Stefani, and contributed to the soundtrack to Bahz Luhrmann’sRomeo & Juliet. Chris Martin, Thom Yorke, Mike Mills, and Alex Turner of Arctic Monkeys (Hawley will be adding his vocals to an upcoming Monkeys track) count themselves as big supporters; Jarvis Cocker has sung Hawley’s praises to anybody who’ll listen, and has encouraged his own fans to pick up on the Sheffield musician’s sterling recordings. Hawley’s solo albums are compendiums of sharply-written tales, stories both humorous and heartbreaking, infectious melodies, spirited performances, and irresistible rhythms. 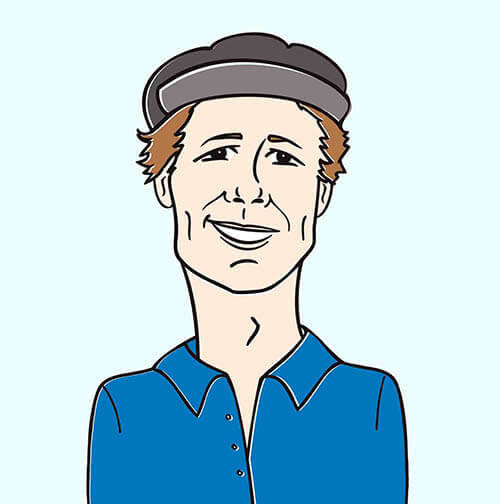 The guitarist is a rockabilly enthusiast as well as an indie stalwart, and his songwriting draws from vintage sources and modern sounds alike. Much like Ted Leo, Hawley is a charismatic roughneck who manages to transcend genre; he projects a kind of timeless, no-nonsense, working-class musical sensibility. Coles Corner, his 2004 release, was nominated for the Mercury Prize, and “Born Under A Bad Sign”, its lead single, became an underground smash. Named – as was Coles Corner – for a well-known Sheffield landmark, Lady’s Bridge captures Richard Hawley at his most engaging and accessible. In addition to the usual round of rave reviews, the album has also become a mainstream commercial success. Lady’s Bridge scaled to the upper reaches of the British album charts, and lead single “Tonight The Streets Are Ours” became the singer-guitarist’s first Top 40 hit. “Serious” is quintessential Hawley: lighthearted and immediately hummable, but possessing dangerous undercurrents. As always, Richard Hawley performs the song impeccably, singing blithely in his distinctive baritone about the pitfalls of love, and bathing the track in warm, reverbed six-string. Shane Meadows’s playful video for “Serious” extends the whimsy of the song – and maybe its dark subtexts, too. Meadows shoots Hawley in a typical suburban-domestic scene: he’s got the little house, the economy car, the healthy green lawn, and the modest privet hedge around his property. Everything about the house is as square as can be – the décor seems borrowed from an early-Sixties sitcom. Hawley dresses the part, too, doddering around the kitchen in an apron, or sitting at the table with a broadsheet newspaper open. But he’s chosen to share this Shangri-la not with a flesh-and-blood woman, but with a mannequin. Not that you won’t do a few double-takes. Meadows and Hawley pose their co-star in scenes so familiar and domestic that she appears to take on a life of her own. Hawley reads with her, cooks with her, and even bathes her; later on, they share a disturbingly- convincing love scene. Nor is their affair confined to the house: the singer-songwriter brings his wooden friend to an amusement park, and, along with a helpful carny-operator, straps her on the ferris wheel for a ride. It’s only later, when the couple is in a bar, that he has a crisis of confidence – there he discovers an actual woman, dressed precisely like the mannequin. She, too, is there with a date: a male doll who resembles Richard Hawley. Many thanks are due to Stephanie Trick and Mark Fotiadis at Mute for bringing us on board to be a part of the Richard Hawley promotional team. They’ve been kind enough to hook us up with copies of Lady’s Bridge for your on air giveaway needs. 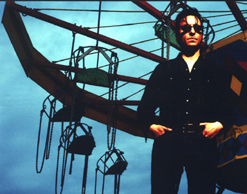 We also wanted to point out that Richard Hawley will be hitting the US for a string of dates in early December and we would really love for you to catch up with him for a video interview when he comes to your town. Let us know if we can count on you! If you need more info, call Andy Gesner at 732-613-1779 or e-mail us at HIPVideo@aol.com. You can also visitwww.Mute.com, or www.RichardHawley.co.uk to find out more about Richard Hawley.